Creative design that makes the household cleaning effortless. The flat mop head helps to reach under furniture easily. 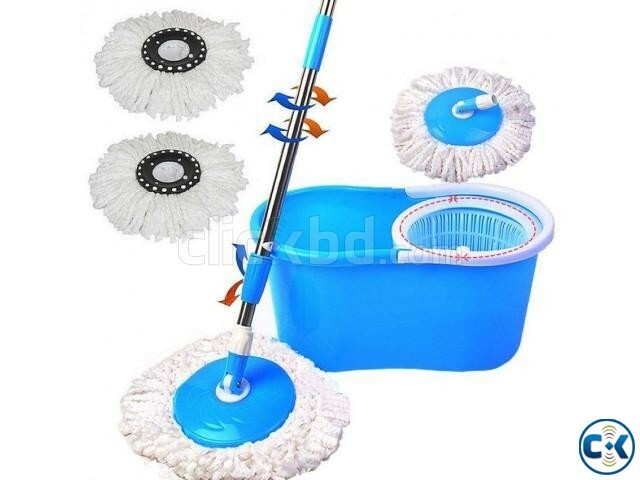 The hand pressure type handle lends itself to easy drying/rising of mop head. Includes free replacement mop head. 360 D. Rotation of mop head.